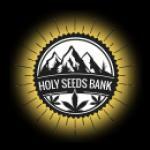 This is the story of Holy Seeds Bank. After accumulating 15 years of experience cultivating all types of cannabis we decided to go one step further. The majority of our operation was made underground until now and the idea was basically to create a company within the parameters of legality, so, in 2017 we decided to move to Spain and make it happen B, Why are we here, now?, It's time to take it to the next level!, Because we know cannabis, and we know that cannabis gives a lot to humankind, and we, at Holy Seeds Bank strive to do the same when it comes to our own genetics! We are all about quality, not quantity! 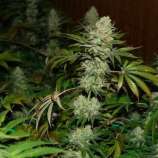 This is and will be our passion, so you can expect a fully dedicated team that uses science and data to make premium cannabis genetics like never before, all of these, at a fair price., Trust our experts for giving the best solutions, The year of 2018 will mark the year of Holy Seeds Bank birth into the cannabis seed market. 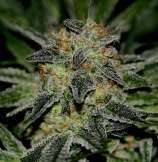 Stick around with us, and enjoy lots of awesome genetics, along with other surprises and guaranteed best giveaways, ever!, Organic is our WAY, We promote organic growing, because its the best. All our seeds and plants are organically grown. We believe that If the plant is happy & healthy, it will reward its grower with shes own state of being, thats why our plants are always surrounded with good vibes!